Congratulations, Angelynna Pyeatt! 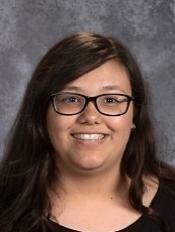 Angelynna (Class of 2020) has been selected as a ND/SD Honorable Mention of the NCWIT Award for Aspirations in Computing. The NCWIT Award for Aspirations in Computing honors high school women who are active and interested in computing and technology. NCWIT encourages them to pursue their passions. The award ceremony on February 19, 2019 at Dakota State University is going to be a special celebration of her accomplishment. Angelynna will be receiving a trophy, a swag bag from NCWIT, and a copy of the keynote speaker's book for her to sign. The keynote speaker, Cynthia Hetherington, MLS, MSM, CFE, CII is the founder and president of Hetherington Group, a consulting, publishing, and training firm that leads in due diligence, corporate intelligence, and cyber investigations by keeping pace with the latest security threats and assessments. She has authored three books on how to conduct investigations and annually trains over 2,000 investigators, security professionals, attorneys, accountants, auditors, military intelligence professionals, and federal, state, and local agencies on best practices. For more than 25 years, Ms. Hetherington has led national and internationalinvestigations in corporate due diligence and fraud, personal asset recovery, andbackground checks. With a specialization in the financial, pharmaceutical, and telecommunications industries, her investigations have recovered millions of dollars in high profile corruption cases, assisting on the investigations of the top two Ponzi cases in United States history. The welcome message will be given by Dr. José-Marie Griffiths. Dr. Griffiths is president of Dakota State University in Madison, South Dakota. President Griffiths has spent mostof her career in research, teaching, public service, corporateleadership, economic development and higher education administration. She has been awarded presidential appointments to the National Science Board, the U.S. President’s Information Technology Advisory Committee, and the U.S. National Commission on Libraries and Information. She has led projects for over 28 U.S. federal agencies including the National Science Foundation and NASA, over 20 major corporations such as AT&T Bell Laboratories and IBM, and seven major international organizations that include NATO and the United Nations. She has received over 20 significant awards in science, technology, teaching and the advancement of women in these fields. Adapted in part from NCWIT Award flyer.